1. A f*cking delicious cookbook written by rapper Action Bronson. Grab this hilarious book from Amazon for $18, Barnes & Noble for $18.37, or a local bookseller through IndieBound here. 2. Or a mini waffle maker so he can make you breakfast. Get this from Urban Outfitters for $18 or Amazon for $14.99. 3. A personalized journal for him to jot down his midnight inspirations. Grab this from Legacy Memories on Etsy starting at $7.95. 4. Bar soap that will induce instant nostalgia. Grab these from Firebox for $15.79 each. 5. A Groot portable car charger, when you need to juice up more than one phone. Get this for $39.99 from ThinkGeek. 6. 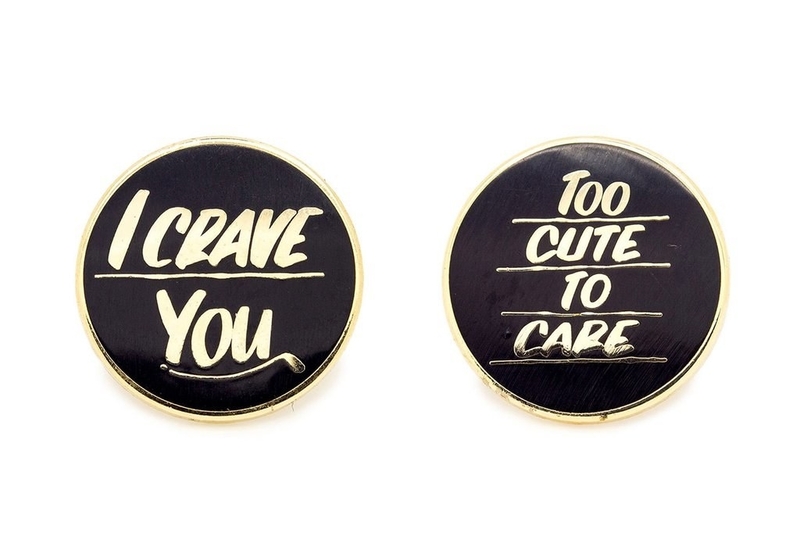 A pin or two for him to subtly display your love. 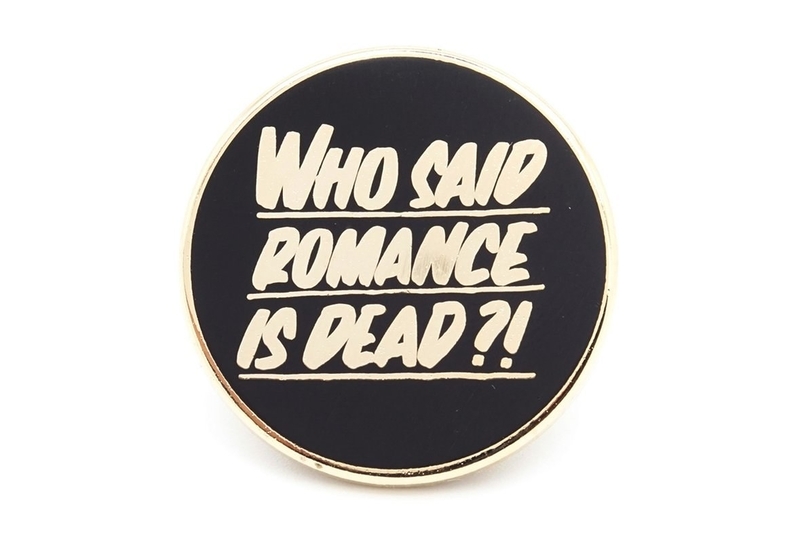 Grab these from Pintrill, it's $15 for a single pin and $27 for two. 7. Or something cute for him to keep alive, besides your relationship. Grab these from Urban Outfitters for $8 each. 8. A travel book to drop hints for your next vacay. Grab this from the National Geographic store for $27, Amazon for $16.70, Barnes & Noble for $18.53, or a local bookseller through IndieBound here. 9. Or a mini pool table so he can practice his trick shot. Get this from Urban Outfitters for $36. 10. Or this deliciously cute bowl so that he can finally play with his food. Grab this from Uncommon Goods for $24. 11. This super hipster coffee maker so can make fancy AF coffee. Grab this from Amazon for $40. 12. Candles to make his place smell super special and extra clean. Grab this candle 3-pack from Urban Outfitters for $24. 13. This funny (and flattering) humble brag guide to a certain kind of life. Grab this from Firebox for $13.19, Amazon for $11.66, Barnes & Noble for $11.80, or a local bookseller through IndieBound here. 14. Get this soap to go with the book above to deliver the ultimate ego boost. Grab this from Fleegal Farms on Etsy for $7.95. 15. If he's a budding mixologist, this manual has all the tips he'll ever need. Grab this from Nordstrom for $14.95. 16. And if he's really a cocktail genius, this chemist mixologist set is both geeky and cute. Grab this kit from ThinkGeek for $23.99. 17. Speaking of geeky, if he's into GoT then this cocktail glass set could be perfect. Grab this from Star Gift Shop on Etsy starting at $23.99. 18. Gift him with a fancy new body wash that he probably would never buy for himself. 19. These detox bath bombs are great for a hangover bath or some fun in the tub for two. Grab these from Urban Outfitters for $15. 20. Get him to ditch his old crusty clippers and replace them with this set. Grab this from Urban Outfitters for $26. 21. This "smelly" book is great if he likes to indulge. Grab this for $18.39 from Firebox, $13.56 from Amazon, or a local bookseller through IndieBound here. 22. And finally, give him a way for him to see your face every single day (even when you're aren't physically with him). Get this for $32.89 from Firebox, for a set of two.